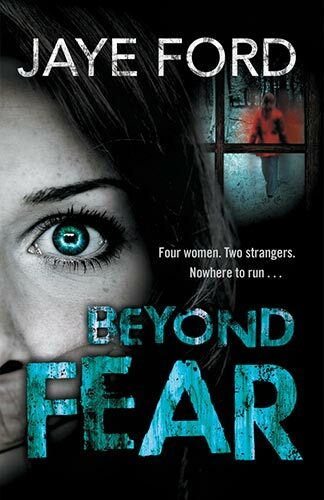 Book Synopsis: Beyond Fear is so deliciously scary, it’s hard to believe this psychological thriller is a debut novel. If you’re packing your overnight bag for a weekend away in the country – alone – I suggest you leave this book at home. Read it as soon as you get back and be glad you survived the trip. No, scrap that idea. Cancel the weekend away. Lock the doors. Close the curtains. Grab a torch in case the lights go out and settle in for a chilling read. The characters are well-drawn with a likeable gang of friends. Jodie’s traumatic past gives her every reason to be paranoid. When the other women wouldn’t listen to her concerns, I wanted to grab their shoulders and shout at them. Fascinating to watch the different reactions to danger. Enough backstory is given in small doses to make the characters’ responses believable. My attention was held right to the end. I definitely recommend Beyond Fear to readers who enjoy a pulse-racing thriller and am looking forward to the next story by Jaye Ford. Hope I don’t have to wait too long.